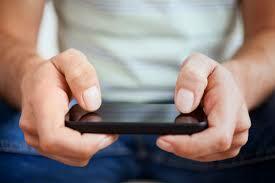 Gaming has evolved quite a lot during the past decade, and it is no longer a solo experience thanks to Social Gaming. Whether you are talking about online casinos or the modern generation of gaming consoles, Social Gaming is connecting people all around the globe in pursuit of the ultimate gaming experience and course enjoyment. Video game designers are working very hard to make their products as social as possible. First Person Shooters, as well as sports simulators and even the massively multiplayer online RPG’s, are just a selection of the genres that embrace the social aspect of gaming, and the same thing could be said for the online gambling market. Online Casinos and Bingo Rooms are seeing a growing number in people enjoying the social aspect of the games. Moreover, Live dealers for table games as well as the massive Online Bingo community make use of the chatting option. However, how did all of this start? Before the mass accessibility of internet with high speeds, multiplayer gaming was only possible with an additional controller. However, the amazing speed of the web nowadays sees even the highest resolution games connect people from all over the world via the internet. So you are probably wondering what next? Well, with streaming and VR set to become a massive part of gaming in this year, completely immersive games streamed via Twitch will without a doubt be the next huge step in social gaming.